Styled with rena shirt . This long version of Babaton's iconic trouser is tailored with Terado™, an exclusive Japanese fabric that's matte crepe on one side and smooth satin on the other. Clean lines and polished pleats give this signature style its unparalleled versatility. Absolutely love my Cohen pants. They are so comfortable. Can be dressed up or down. I am 5'9" and bought the size 2, which fits perfectly, hits right at the ankle. Love that they are more tapered at the bottom than the conan pant long. I bought the modern taupe and will be ordering the black next. I just got these a few weeks ago and already worn them a dozen times. Comfortable and easy to move in, not restricting like most dress pants. Go with many outfits, can be dressed up or down. I didn't realize I got the long version and I'm kind of short so I actually need to get them taken in - but it's not that big of a deal. I feel it runs big though because I got a size 00 and they're still a bit loose. Overall great pant though! I went up a size because I thought the pleats might be more flowy but I actually didn’t need to. Fantastic pants!! 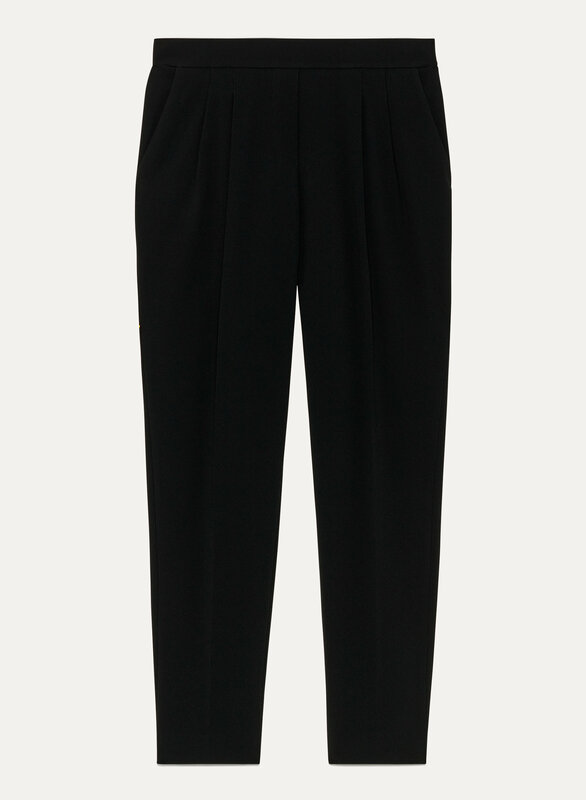 Wish Aritzia made more styles of pants in the "Long".